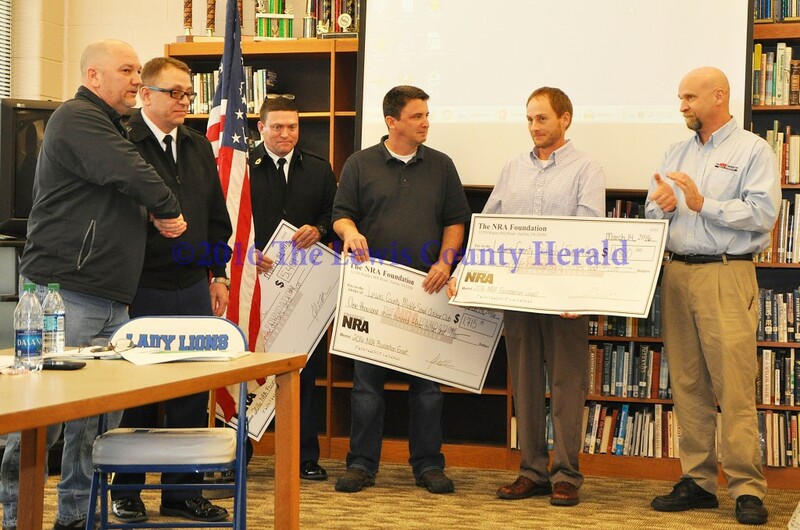 Representatives of the Lewis County Friends of NRA and Kentucky Friends of NRA were on hand at the March meeting of the Lewis County Board of Education to present grants to three school organizations. Lewis County Friends of NRA Chairman Kenny Ruckel said the local grants awarded represent money coming back to the local area from efforts of the organization. Lewis County Friends of NRA Chairman Kenny Ruckel, Chief Hilger, Sergeant Stone, LCMS teacher John Liles, Lewis County Family Resource Center Coordinator Mike Kennedy, and Kentucky NRA Field Representative John LaRowe. 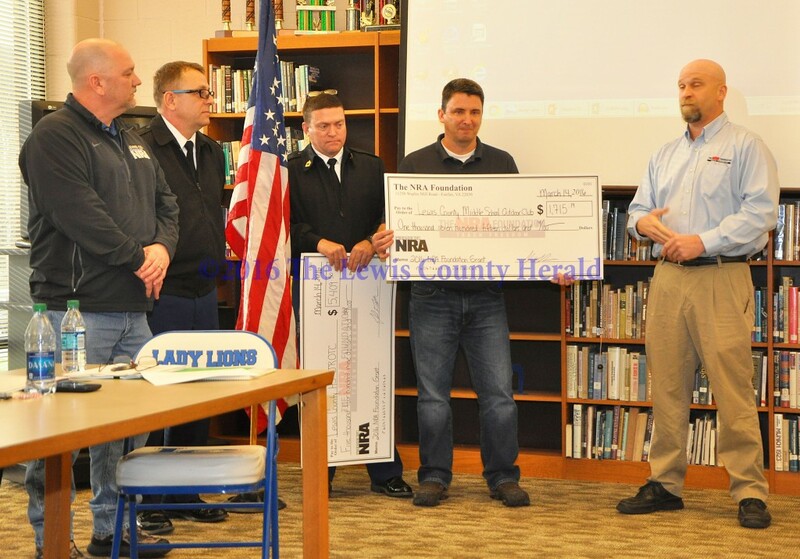 $1,880 grant awarded to Lewis County Public School District/Family Center. Lewis County Friends of NRA Chairman Kenny Ruckel, Chief Hilger, Sergeant Stone, LCMS teacher John Liles representing the LCMS Outdoor Club, and Kentucky NRA Field Representative John LaRowe. Amount awarded was $1,715.19. Lewis County Friends of NRA Chairman Kenny Ruckel, Chief Hilger, Sergeant Stone, and Kentucky NRA Field Representative John LaRowe. 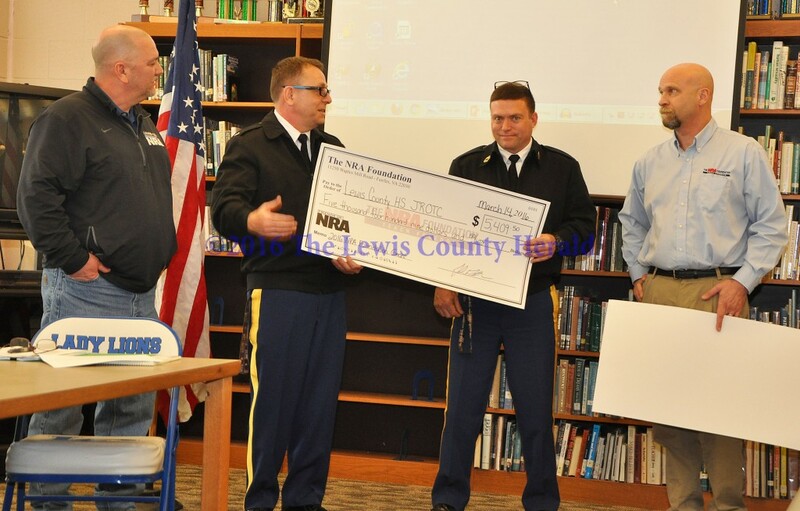 NRA Grant awarded to LCHS JROTC, $5,409.50.